Reagent use in Preparation of new linear poly(phenylpyridyl) chains by Suzuki coupling, Oligopyridyl foldamers as mimics of a-helix twist many highly significant therapeutic enzymatic and kinase inhibitors and receptor antagonists. 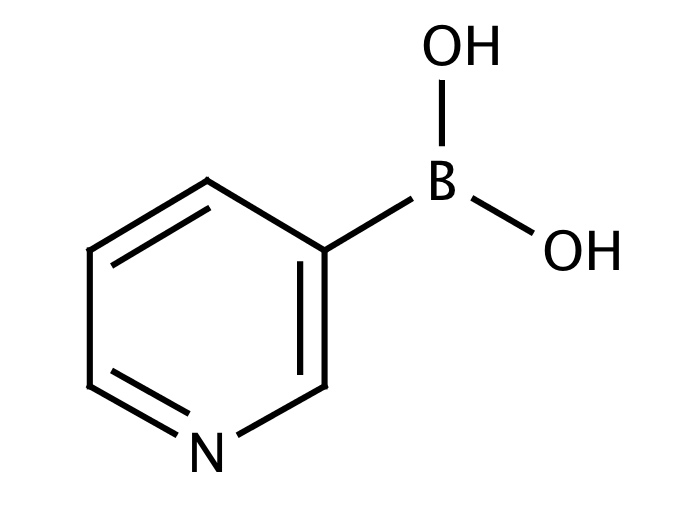 Send us your enquiry for 3-Pyridinylboronic Acid. We offer custom pack sizes at special prices. We aim to respond to your enquiry within 24 hours. We value your input so if you have suggestions regarding new applications for 3-Pyridinylboronic Acid email us and we will include your contribution on the website.